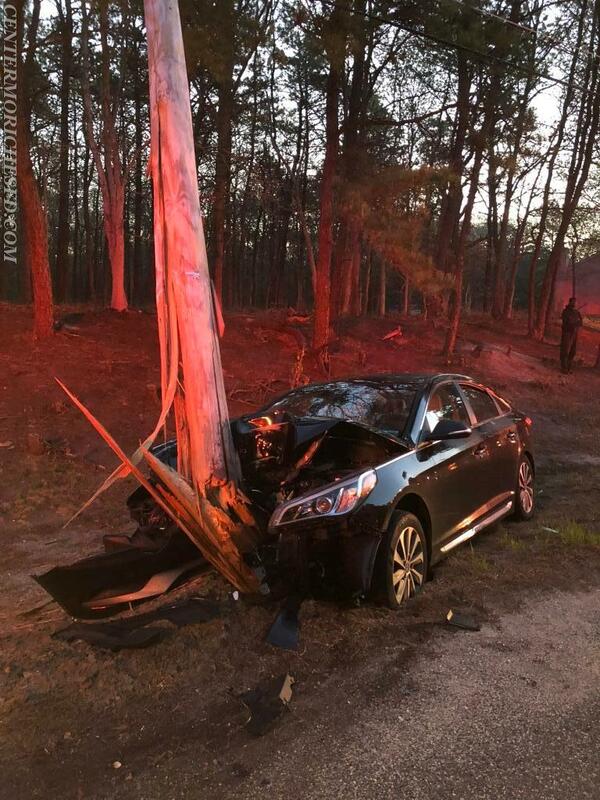 At 5:02am Center Moriches Firefighters were dispatched to the scene of an auto accident with injuries on the North Service Road of Sunrise Hwy just east of Wading River. Emergency personnel arrived on scene to find one vehicle into a utility pole. 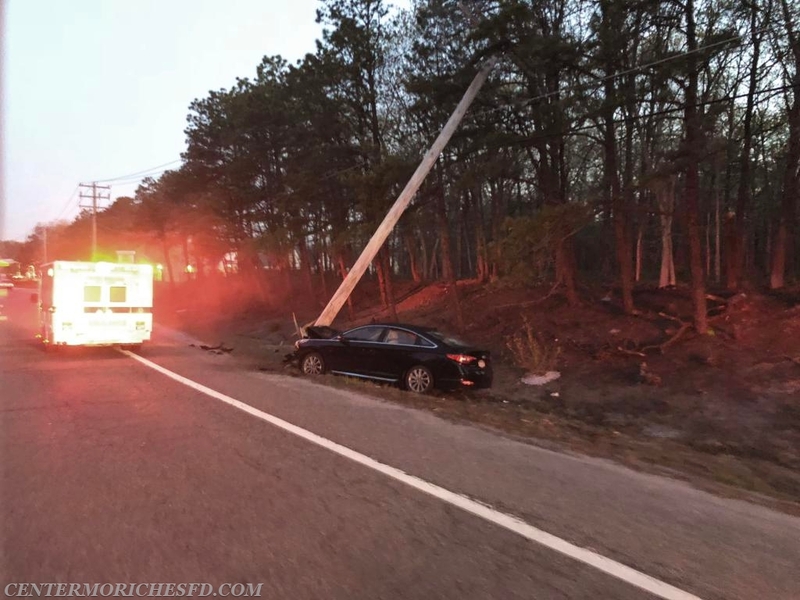 While firefighters secured the vehicle, EMT’s evaluated the driver who was then transported to a local hospital by CMFD Ambulance with non-life-threatening injuries. Suffolk County Police remained on scene while the utility company replaced the damage pole.